The Gimbels Department Stores company was founded by a young Bavarian Jewish immigrant, Adam Gimbel. Gimbel arrived in American in 1834, and shortly afterwards traveled to Indiana where he opened a trading post. Much of his business was with the Indian's, trading beads and other items for furs and pelts. 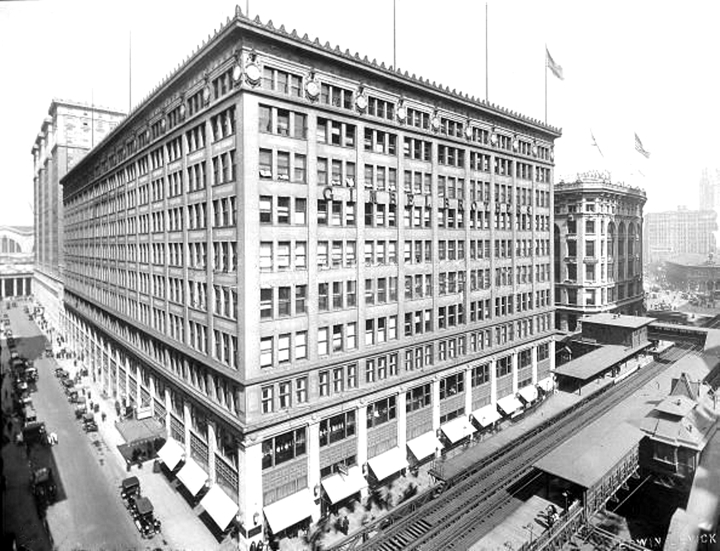 He opened his first department type store in Milwaukee in 1887. Several years later after his death Adam's son Bernard--one of 14 children, seven of whom became the famous Gimbel Brothers, brought the Gimbel name to New York. In 1910, Gimbel’s department store set up a location in Herald Square near their main competitor, Macy’s. The competition between the two famous department stores was popularized in "Miracle on 34th Street," in which Macy's Kris Kringle would steer customers to Gimbels for better prices or selection. Gimbel’s department store was frequently mentioned as a shopping destination of Lucy Ricardo and Ethel Mertz on the hit 1950s TV series I Love Lucy. In 1922 the chain went public, offering shares on the New York Stock Exchange. 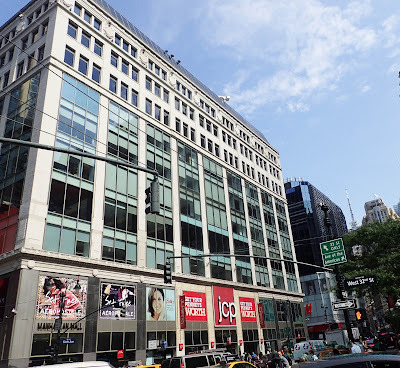 By 1930, Gimbels had seven flagship stores throughout the country and net sales of $123 million with 20 sites; this made Gimbel Brothers Inc. the largest department store corporation in the world. Philadelphia’s Gimbel Brothers Department Store was the first one in United States to stage a Thanksgiving procession in 1920 with 50 people, 15 cars and a fireman dressed as Santa Claus who ushered in the Christmas shopping season. This parade now is known as 6abc Dunkin' Donuts Thanksgiving Day Parade in Philadelphia. 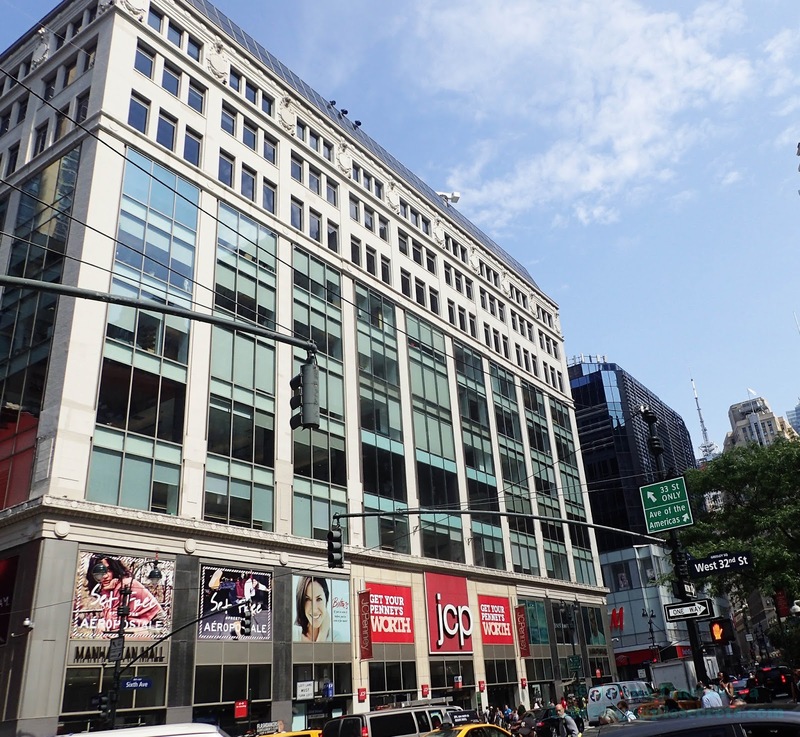 The Gimbels New York City flagship store was designed by architect Daniel Burnham. 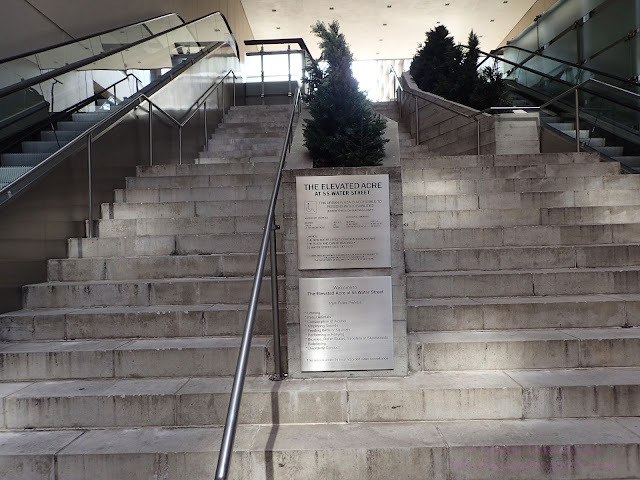 The store was open in 1910 with its many doors leading to the Herald Square New York City Subway station. 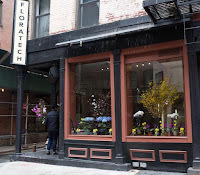 Across the street, the store had an annex, so a three-story skybridge was built to connect the two buildings. Architects Richmond H. Shreve and William F. Lamb, who later helped design the Empire State Building, designed the copper, three-story-tall structure. 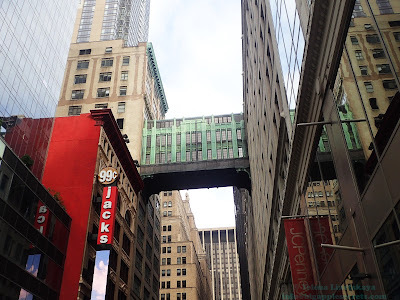 So shoppers no longer had to deal with crossing the congested street below. After 76 years of a fierce but friendly rivalry with Macy's in 1986 , Gimbels at Herald Square went out of business. 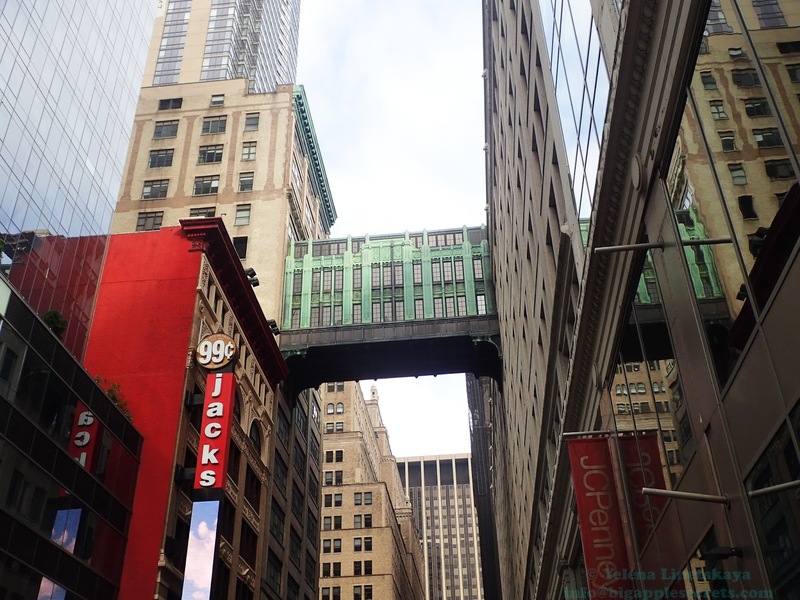 The bridge was almost destroyed when the buildings switched ownership. Manhattan Mall now stands where Gimbel’s used to. The 1 million square foot building offers great ceiling heights, abundant natural light and a unique, grand-scale atrium. There are over fifty different specialty shops and anchor stores in the mall. 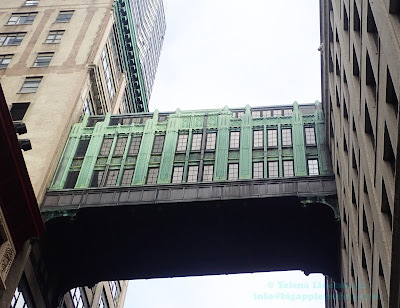 The only remnants of Gimbel’s is the skybridge. Hidden between two office buildings at 55 Water Street is an escalator which whisks you up to The Elevated Acre, an acre-size expanse of green on a lower-Manhattan rooftop. 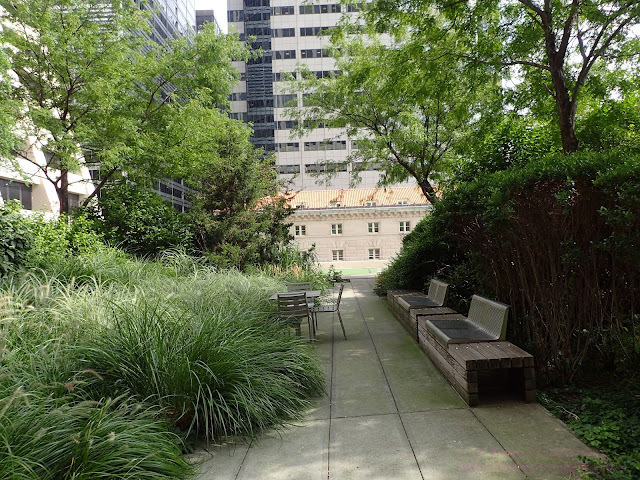 In a city where space is at a premium, a pleasant, quiet meadow and a lush garden of solitude in the busy Financial District in Lower Manhattan is a rare find. 55 Water Street, the 53-story, 3.5-million-square-foot structure, a late example of the style called Brutalism, was completed in 1972. When it was completed it was the largest office building in the world, and is still the largest in New York by floor area. The new property regulations that were passed in 1961 (1961 Zoning Ordinance) limited the amount of space that a property owner could build within the footprint of the lot. 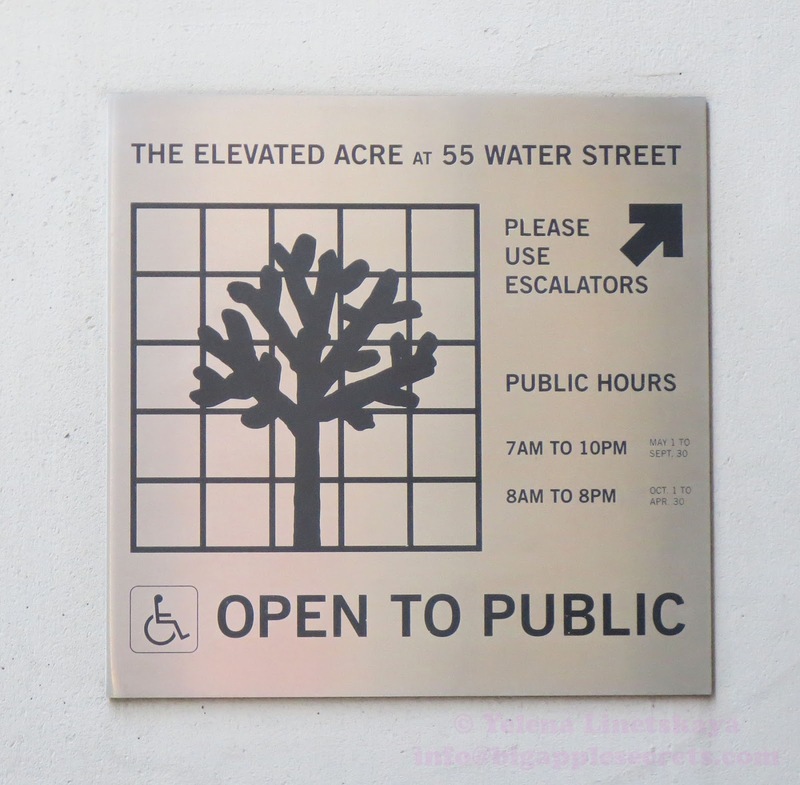 If a developer agreed to include a plaza in their design, they were given extra space in return, adding an extra 6-and-a-half floors to the structure. 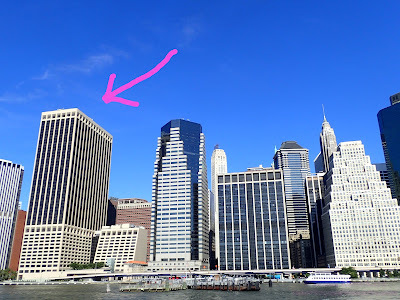 Emery Roth & Sons designed the building and built a 15-story wing with a sloping facade and terraces facing the river оn the north side of the tower. The largest terrace forms a privately owned public space known as the "Elevated Acre", about 30 feet above street level. 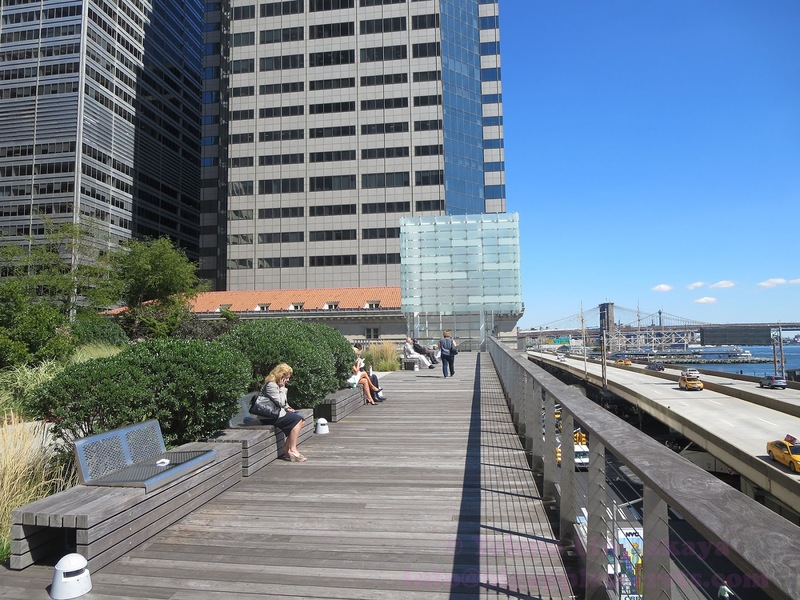 The creation of public space allowed the developers to increase the total square footage of 55 Water Street. 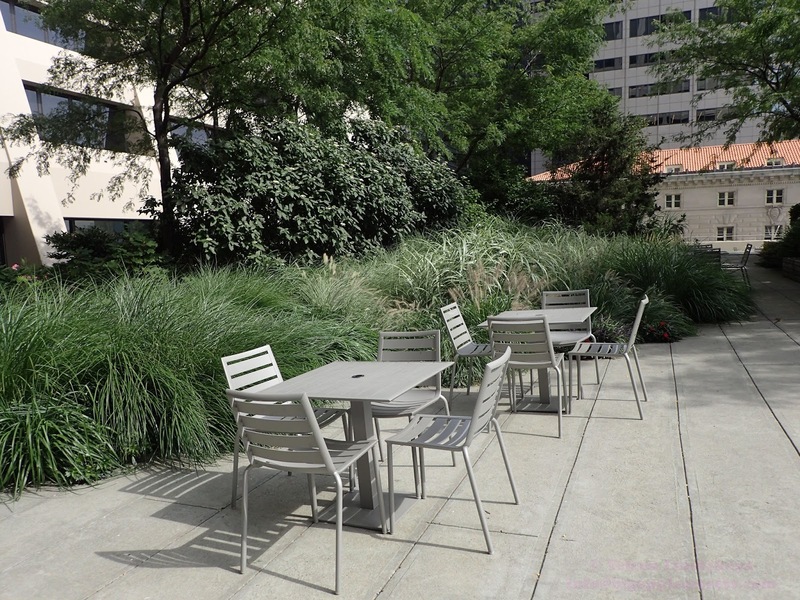 While this outdoor space was always there, the current design was just completed in 2005 by Rogers Marvel Architects. 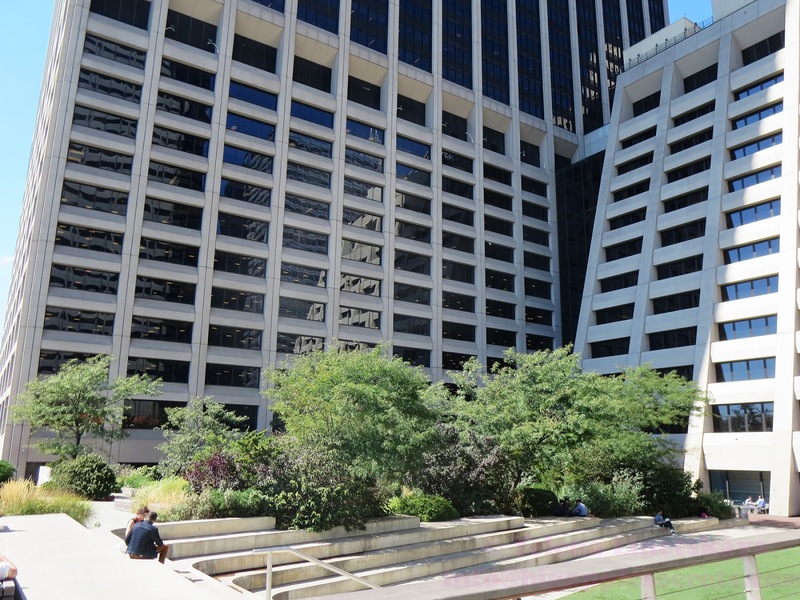 The New Water Street Corp., the owners of the 56- and 15-story buildings, with the Municipal Art Society, staged a competition in 2002 for renovating and bringing attention to the site. 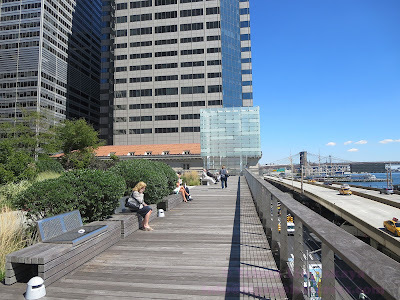 The six finalists’ designs were on display in “An Elevated Acre: 55 Water Street Design Competition” at the Urban Center Galleries in New York. The firm won an international competition to transform this one acre from a barren deck to a vibrant public park. 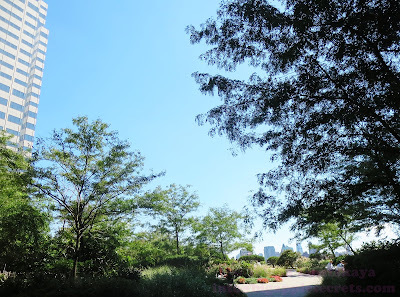 There is a dune-like garden planted with honey locust trees and sea grass, a wood-planked boardwalk, and a low-maintenance synthetic lawn. The Elevated Acre is available for rental. Venue fee is $5,000. World changed 16 years ago, on September 11, 2001. Monday marks the 16th anniversary of the terrorist attacks , that killed 2,977 people in New York, the Pentagon and in a field in rural Pennsylvania. Staffers at the medical examiner’s office still work to identify remains. Families of more than a thousand of the 2,753 who died still have no biological confirmation of death. 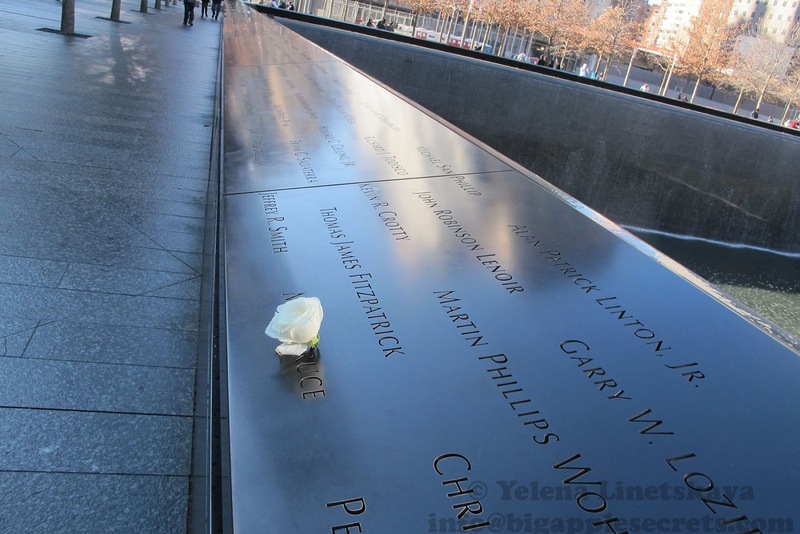 There is a binder at the National September 11 Memorial & Museum that holds the names of the nearly 3,000 victims, listed chronologically by birthday. This binder also include the names of people killed in 1993 attack. New York’s World Trade Center held an iconic status for terrorists even before 9/11. Shortly after noon on Feb. 26, 1993, a bomb planted in a van parked in the center’s underground parking garage exploded, killing 6 and wounding more than 1,000. 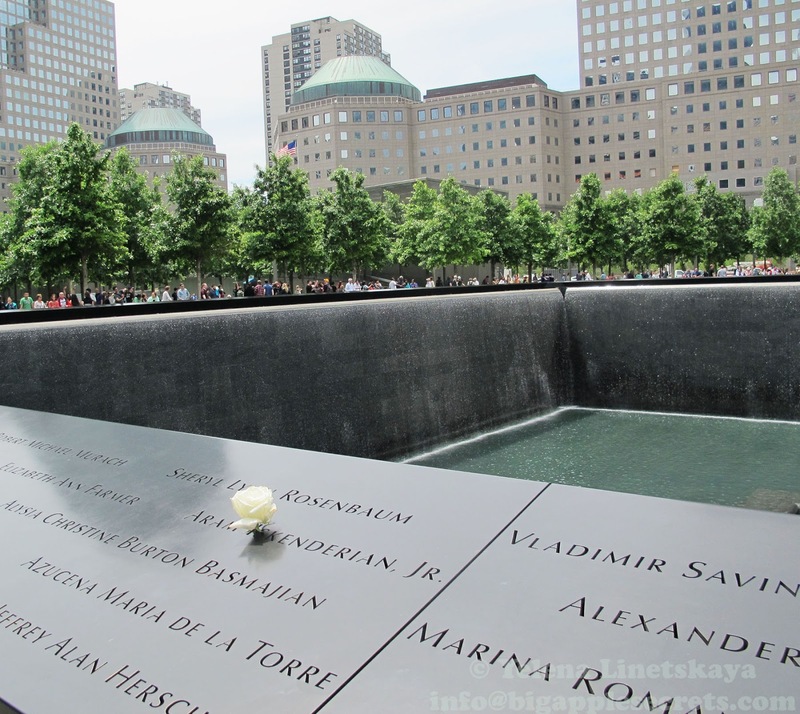 Each morning the 9/11 Memorial is commemorating the birthdays of victims of the attacks of 2001 and 1993. Every morning a person who works for the September 11 Memorial and Museum copies the page for that day from the binder and goes to a refrigerator to take one white rose for every victim who would have celebrated a birthday that day. There’s at least one birthday for every day of the year, and six on September 11 itself. The rose is placed on the names of victim on the parapets. 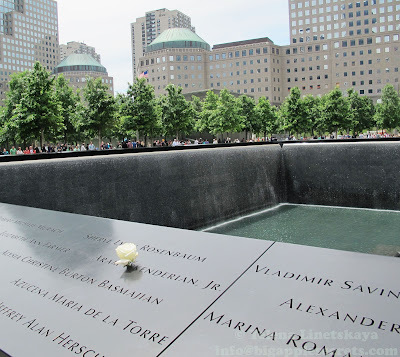 Two pictures are taken of the rose and name — one with the pool in the background, the other with the skyline. The Birthday Rose photos are emailed to family members. 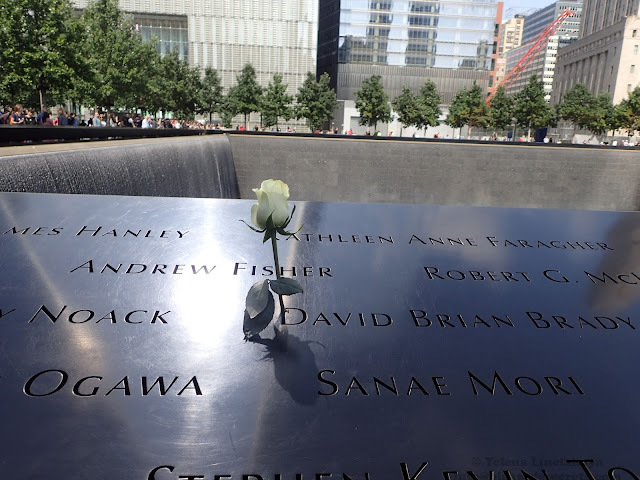 The idea came from staff and volunteers as they thought of more ways to personalize the memorial for each of the victims, said Anthony Guido, communications manager at the September 11 Memorial and Museum. The roses are donated by Mikey Collarone of FloraTech. 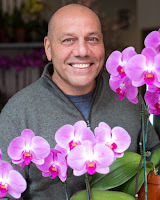 He selects the roses at the flower market, and then twice a week he delivers them to the memorial. 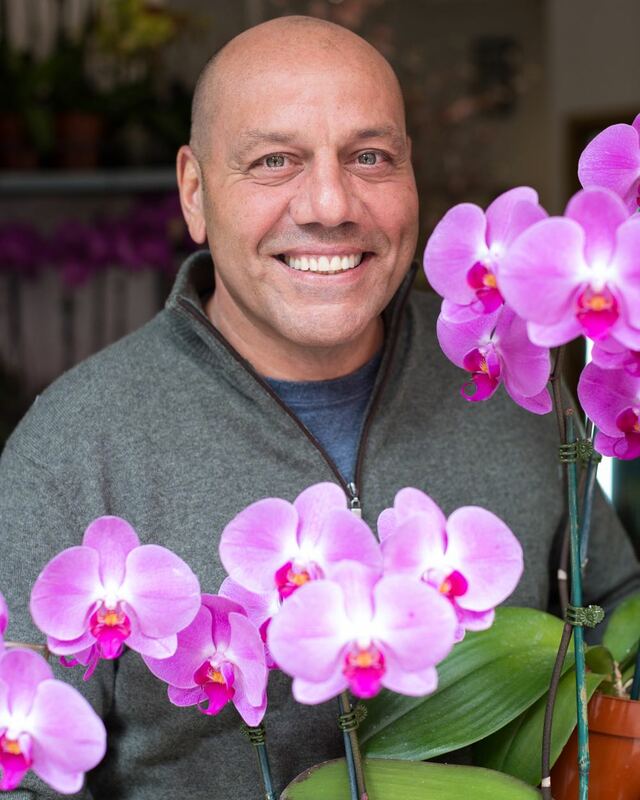 Mikey started his business in Tribeca in 1991. He was in his shop when a truck bomb detonated below the North Tower of the World Trade Center in February 1993. Mikey run to help but he did not have any medical training. After that experience, he worked to become an emergency medical technician. After 9-11 attack Mikey worked as a volunteer for two weeks helping people to recover from the stress. Later he cooked for the workers, bringing ziti and roast beef into the pit. 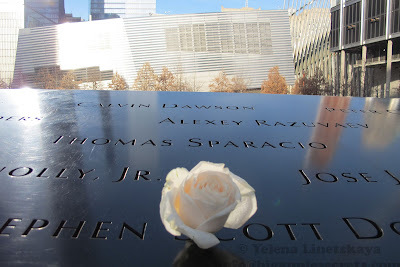 So when a volunteer suggested flowers be placed to note victims’ birthdays, the museum staff went to Mikey Flowers and asked how much it would cost to buy the roses from him. Collarone didn’t hesitate. 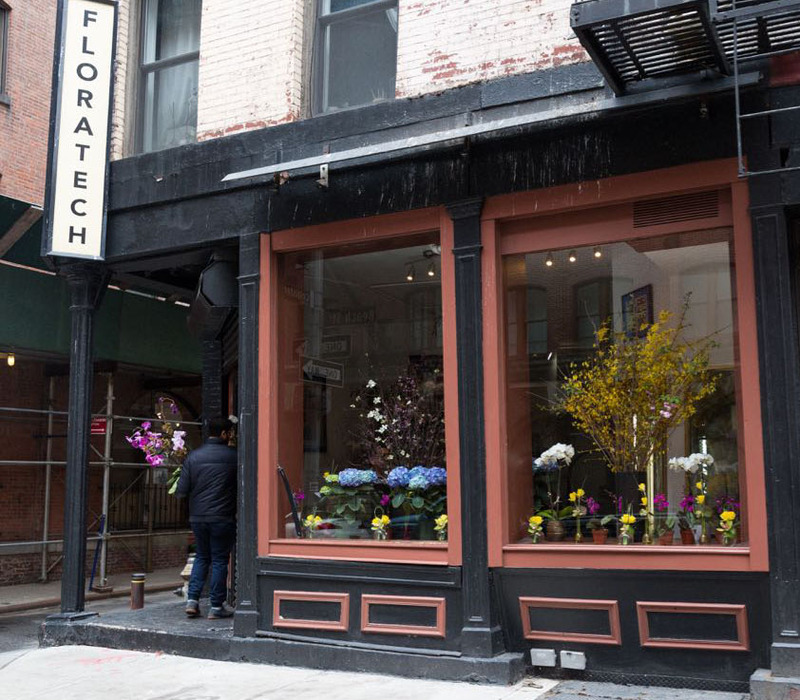 "I pass this way every day now when I go to work since 9/11 and I see the roses," Collarone said. "And I see that the people are being honored and it makes me feel really good inside that people aren't forgotten and we'll always remember them".